Happy 80th birthday to Don Howe, a man who won 23 England caps and played in a World Cup finals but is probably best known to younger generations as the team’s former assistant manager – proving a trusted ally to Ron Greenwood, Bobby Robson and Terry Venables during their spells in charge. He may not have been necessarily loved by the average man in the street, but there were many within the game who would defend him to the hilt and saw just what an asset he was to his country. Google Don Howe’s name and the thing that constantly crops up is the man’s reputation as a coach. Plenty of players who worked with him speak particularly highly of his coaching abilities, including the Neville brothers, Stuart Pearce and Dennis Wise. The managers he worked for also had plenty of praise for Howe, particularly Robson with whom he had a long-standing friendship. 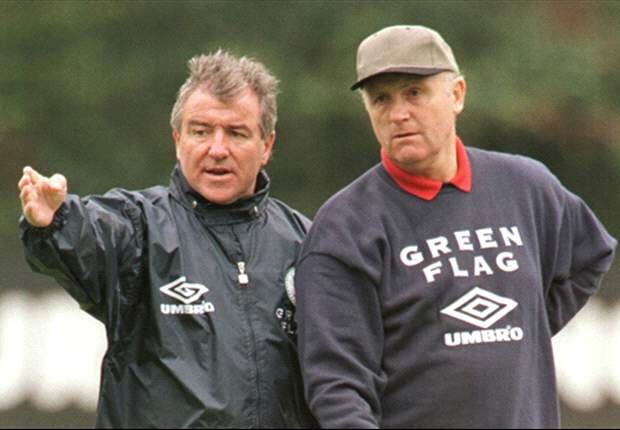 Howe was at his side through Robson’s rollercoaster eight-year reign, experiencing some real low points before the drama and restored national pride of Italia ’90. 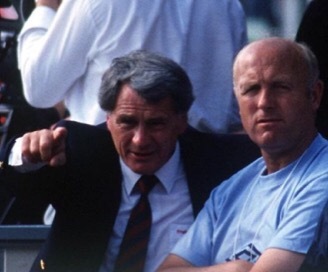 Don Howe was a trusted ally of Bobby Robson throughout his England reign. Robson would later recount how supportive Howe was when the manager became an increasing target for the tabloids in the late 1980s, particularly following the nadir of Euro ’88 when England lost every game. At a time when Robson most needed a friend to turn to, he had a true one in Howe – who he played with for West Bromwich Albion and England at the 1958 World Cup. But just days after England returned home from West Germany, Howe was in intensive care with severe chest pains following a suspected heart attack. If anything put England’s woes into perspective, this was it. It would have been the cue for many to decide to call it a day and seek a quiet life, but Howe recovered and returned to join Robson in seeking to get England to reach Italia ’90. While there, he sat alongside him through the various joys and traumas as his great friend bowed out a hero with the nation coming so close to reaching the final. Howe also took this as his moment to move on, choosing to concentrate on being manager of QPR rather than assisting Graham Taylor. Indeed, pathetic as it would seem today, Howe had been left to combine helping Robson with working the rest of the time at club level. Robson had seen his request for Howe to be his full-time assistant turned down by the FA, something he was far from happy about. Howe had enjoyed a decent playing career as a defender with West Brom and Arsenal, featuring 23 times for England and playing in the 1958 World Cup in Sweden. 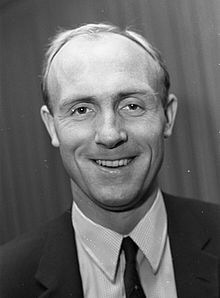 Although injury brought Howe’s career to a close in 1966, he made the move into coaching and struck up a particularly successful partnership with Bertie Mee that resulted in the double being won by Arsenal in 1971. As with contemporaries Malcolm Allison and Peter Taylor, Howe could not quite enjoy the same success as a manager rather than number two. But his coaching reputation remained undimmed and he would later be given a lot of credit for Wimbledon’s FA Cup Final win in 1988 against a rampant Liverpool. Manager Bobby Gould described Howe as “The Master” when discussing the shock win afterwards, having found the ways to ensure Kenny Dalglish’s side could be stopped in their tracks. 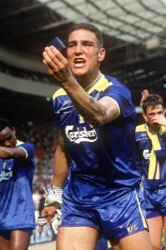 Vinnie Jones – a member of the Don Howe fan club. During the documentary about Wimbledon’s Crazy Gang broadcast last Christmas, it was interesting to see how Howe was regarded by the players. Where manager Bobby Gould appeared to have struggled to earn the respect of a tough set of men to manage, Howe was treated with reverence. “We absolutely adored Don Howe… we had so much respect for him,” said Vinnie Jones, a man not known for eulogising about people he worked for. Midfield colleague Wise hailed Howe as “the best coach I’ve ever worked under”. The Wimbledon triumph cemented Howe’s coaching and tactician reputation at a time when he was already long-established in the England set-up. Howe first became England assistant manager under Greenwood, working together at the 1982 World Cup which began with Bryan Robson scoring after just 27 seconds against France. “All credit to Don for that,” the watching Trevor Brooking recalled Greenwood saying of a goal which came straight from the training ground. Sadly, the team would be eliminated in the second group stage amid criticisms of the team being too cautious. 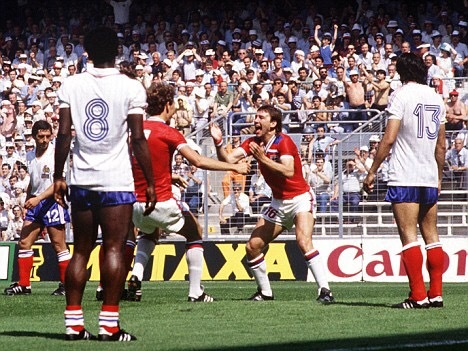 “All credit to Don” as Bryan Robson scores against France in 1982. “Don’s priority was to stop the opposition from playing,” wrote Brooking as he reflected on the team’s approach. This defensive label would forever be hard for Howe to shake off, probably not helped by his deep interest in Italian football which was not renowned for its attacking nature. “Teaching people how to defend and being defensive are two different things,” Howe would insist as he sought to distinguish between his specialist knowledge and his approach to football. In January 1994, Terry Venables replaced Graham Taylor as England manager following the team’s failure to reach the World Cup finals. Although Howe had left his role as Arsenal manager in 1986 amid reports the club had approached Venables to replace him, he evidently did not hold this against the new England manager and accepted a key role in the England set-up with particular emphasis on looking after the defence. It proved a shrewd appointment, Howe working well with Venables and Bryan Robson in helping prepare England for Euro ’96 and offering his extensive knowledge of the international game. Terry Venables and Don Howe. The tournament took place almost four decades after Howe had first played for England, having proved a man for all seasons during his many years in the coaching role. It proved a dramatic and heartbreaking farewell for Howe from the England set-up, with a touch of déjà vu after Italia ’90 as England again lost to Germany on penalties in the semi-final. Afterwards he and Venables headed for Gareth Southgate to console him over his penalty miss (see below pic). Howe had worked closely with the defenders, with Southgate being a player who had flourished under this management team. It was a sad moment with which to bow out, but England had rebuilt their reputation during the Venables years with Howe heavily involved throughout. Despite his advancing years, Howe has remained in demand with clubs such as Ipswich Town having requested his services in recent years. Within football there have been numerous individuals who have appreciated just what Howe could bring to help them, including the three England managers he worked for (not a bad feat considering how many like to employ their own right-hand man). There may not be widespread partying today to mark his 80th birthday, but plenty of football people will be wishing him a happy birthday and thanking him for what he did for them. As English coaches go, few have earned the level of respect that Howe carries. I’ve got some fond memories of Don Howe from his time at QPR. Expansive, attacking football. RIP.